PU definition: PU polyurethane is a polymer material, polyurethane called polyurethanes, is the main chain containing repeating carbamate group of macromolecular compounds collectively. It is made from organic diisocyanate or polyisocyanate with dihydroxy or polyhydroxy compound. PU classification: thermosetting and thermoplastic. TPU is the abbreviation of thermoplastic polyurethane. Wide range of hardness: by changing the TPU reaction components of the ratio, you can get different hardness of the product, and with the increase in hardness, its products still maintain good flexibility and wear resistance. High mechanical strength: TPU products carrying capacity, impact resistance and shock absorption performance. Cold resistance highlights: TPU glass transition temperature is relatively low, at minus 35 degrees still maintain good flexibility, flexibility and other physical properties. Good processing performance: TPU can be used to process the common thermoplastic materials processing, such as injection molding, extrusion, rolling and so on. At the same time, TPU and some polymer materials can be co-processing performance of complementary polymer alloy. Oil resistant, water resistant, resistant to mold. 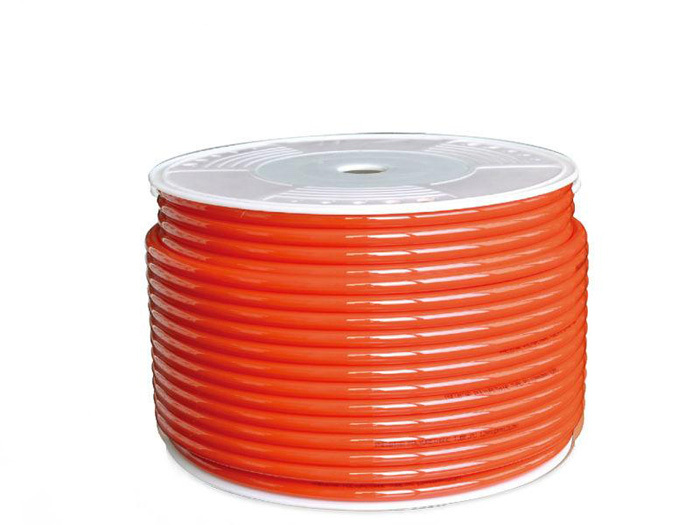 However, TPU as a thermoplastic polyurethane, polyester and polyether type, it is a wide range of hardness (60HA-85HD), wear, oil, transparent, good elasticity, in daily necessities, sporting goods, toys, decorative materials and other fields Widely used, halogen-free flame retardant TPU can also replace the soft PVC to meet more and more areas of environmental protection requirements. TPU brand number is numerous, uneven quality, choose TPU best after a detailed assessment of the argument, or can not get the most cost-effective results.